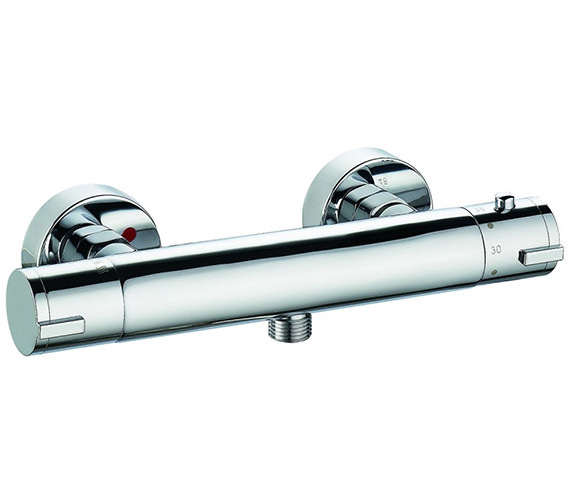 Pura Arco Exposed Thermostatic Bar Shower Valve is chrome finished bathroom accessory. 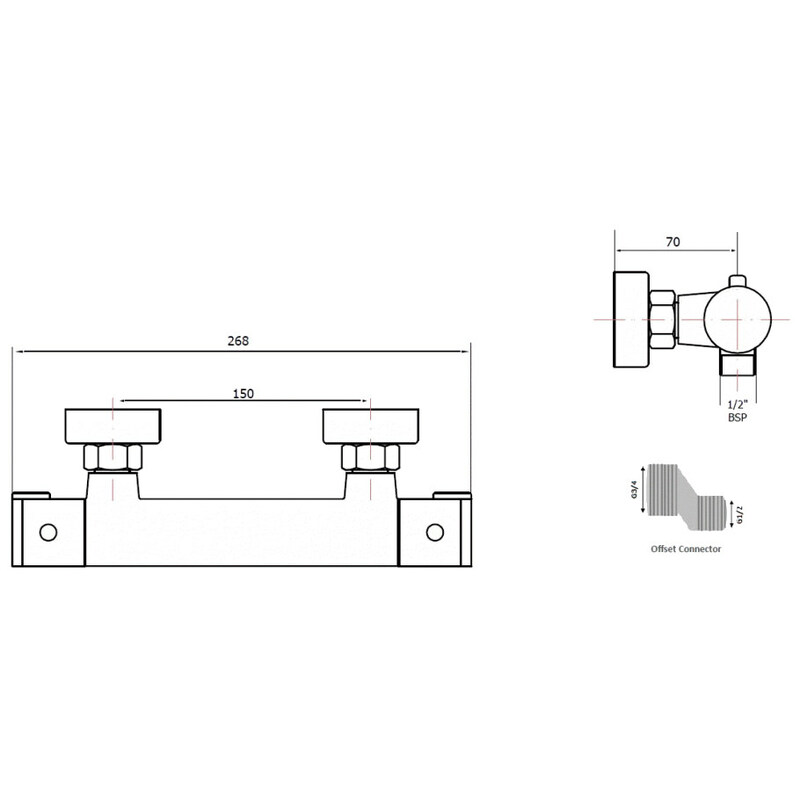 The single outlet valve is suitable for use with hand shower or slide rail kit. It features a G1/2 inch outlet connection, thermostatic and advanced anti-scald technology for convenience in use. It needs a minimum water pressure of 0.2 bar for efficient working. 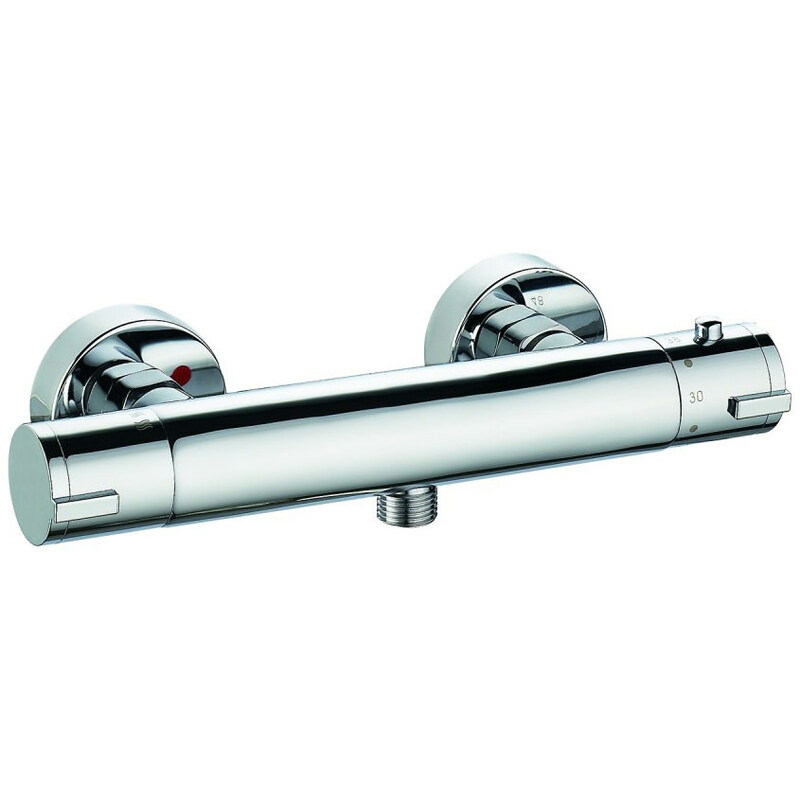 Its modern format and chrome finish make it ideal for use in the modern bathrooms. This piece is backed by ten years of guarantee from the manufacturer against any manufacturing defects. I have just purchased this valve bar ( Pura BV055 ) from another store. On fitting the valve I discovered that in the off position the controls do not mirror each other as in the photo. Only when I turn the left water flow valve fully on does it sit with the small button on the top and the oblong tab facing forward to match the temperature switch at 38 degrees. Is this correct ? I'm thinking of returning it to the store and re ordering one from you. We contacted manufacturer, and this is what they replied about the question you asked. "Please be rest assured that this may be correct. Any photos on our website or any other website or in Pura's brochure are library pictures from us, and may differ slightly from the actual product." I have inherited from a bathroom showroom a pura arco exposed thermostatic valve with two outlets. However there are no seal for connecting the wall interface to a copper/ steel adapter - should there be a set of seals and if so, can I get them through you? I am not sure exactly what you need, could you please send a couple of pictures detailing what you have and what you think is missing.